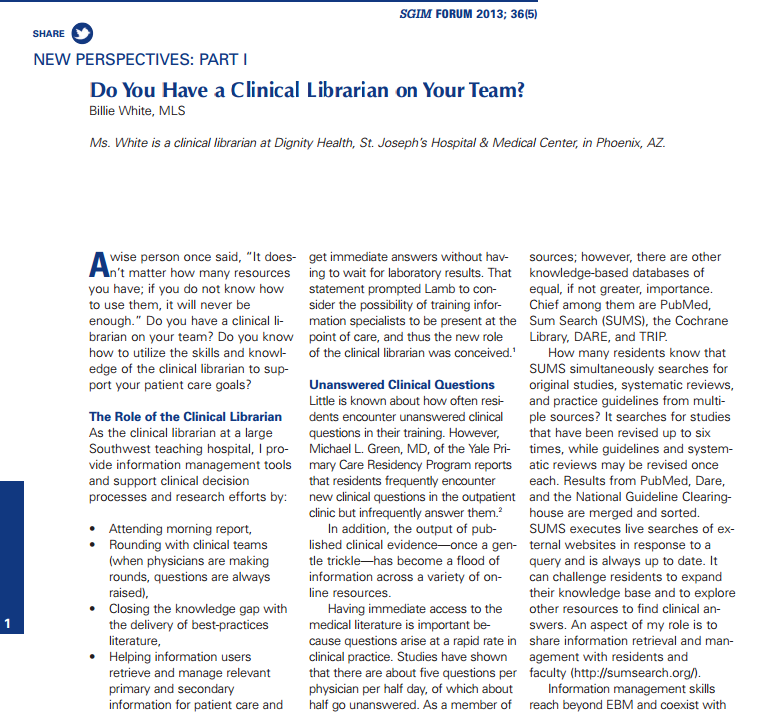 Do You Have a Clinical Librarian on Your Team? St. Joe’s Clinical Librarian, Billie White, just had an article published in the SGIM Forum (Society of General Internal Medicine). The article is entitled “Do You Have A Clinical Librarian On Your Team?” A link to the article, and the citation is below. White, B. 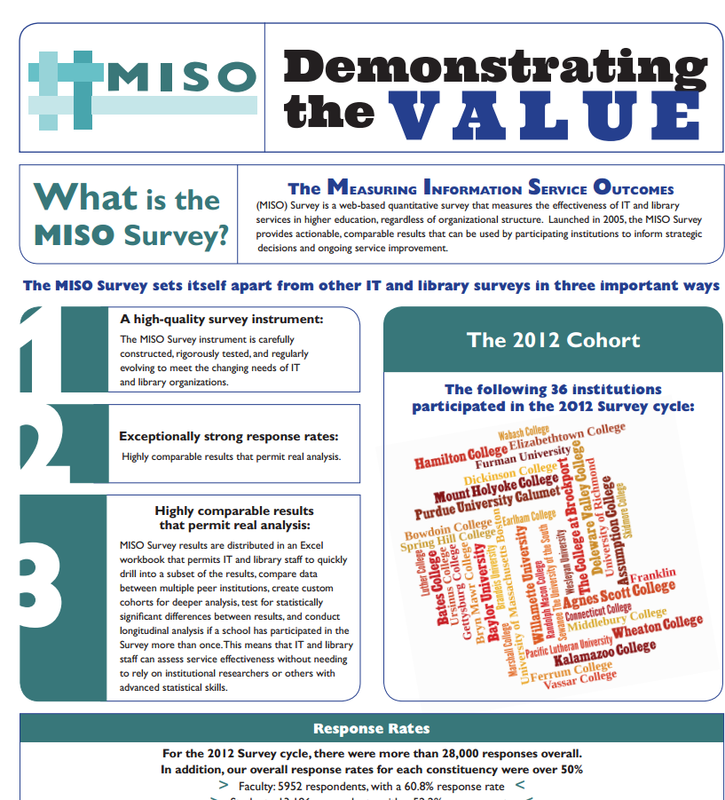 (2013) Do You Have a Clinical Librarian on Your Team? SGIM Forum 36(5): 4, 13. CABL attending MLA Boston in (almost) full force!! It seems like a lot of us are attending, during our next CABL meeting we should have some good reports on MLA. We will look forward to hearing all about the fun and the learning! Earlier last week people on medlib-l discussed (The perfect library storm) closures of hospital libraries. They are seeing a contradiction between Evidenced Based Medicine imperatives vs budget and resource demands on hospital libraries. Some are seeing how the increase in pricing and bundling practices have caused the hospitals to “throw it back to the physicians and staff” causing libraries to close. I interpret this statement to be that the hospitals are no longer willing to provide monies for institutional support of resources (the library) and require doctors and staff to buy their own resources. This email conversation is very timely. It turns out this week I will be in Tulsa, OK teaching the class, “The Evolving Librarian: Responding to changes in the workplace and in healthcare.” Technology changes, social changes and healthcare changes have forced hospital librarians to step back and really change the way we do things. Please welcome and thank Kevin Pardon, a new ASU Health Sciences Librarian at the Downtown Phoenix Campus, and thank him for taking on website coordination! He will share web duties with Amy Nadell. Thanks to our new team! Kevin can be reached at (602)-496-0487, Kevin.Pardon@asu.edu.